3Tbsp Honey or Maple syrup for the super vegans. 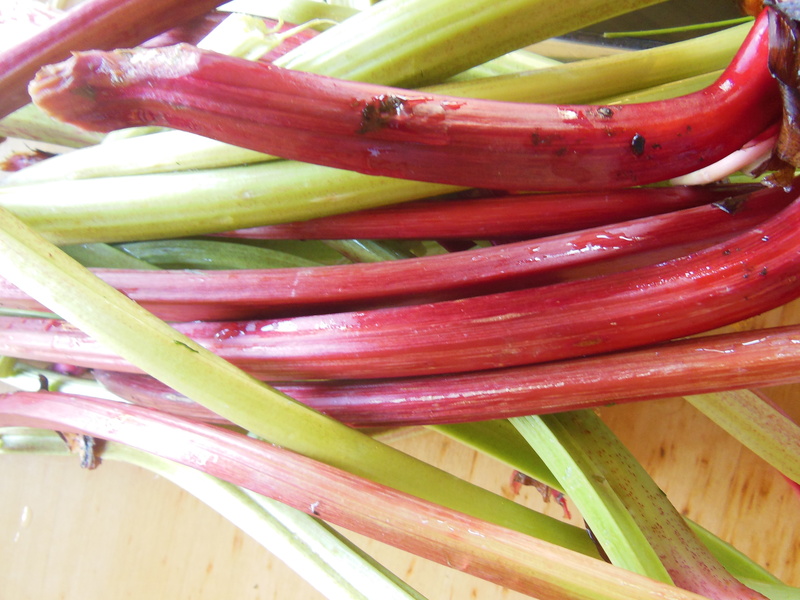 Wash and cut rhubarb into 5cm lengths. 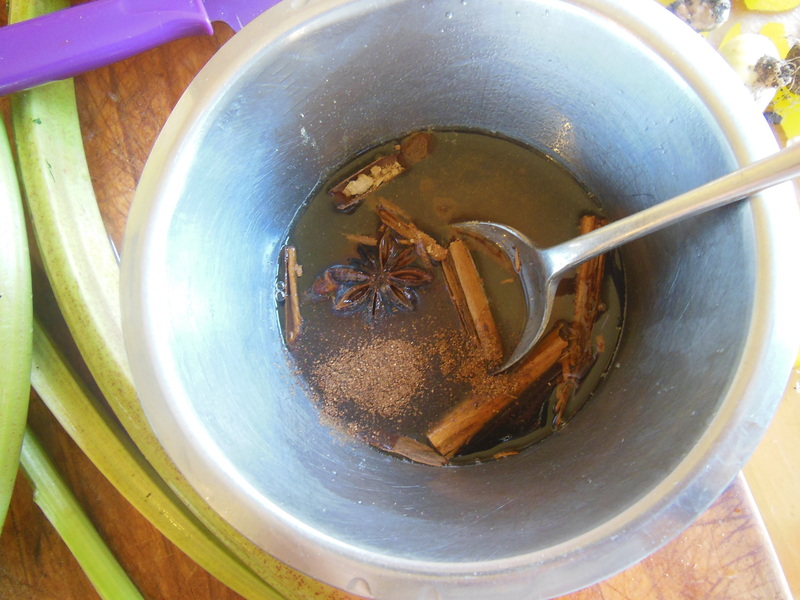 In a small bowl mix together honey and water, add spices. In a deep baking dish place rhubarb and pour over honey mixture. Cover and bake for 45mins- 1hour until rhubarb is soft and falling apart. Remove from oven. You may wish to stir in extra sweetener at this stage depending on your taste. This recipe can be made and stored in fridge for up to a week. Spoon over yogurt or ice cream or bake into a delectable crumble or pie. Mmm….Lovely recipe. 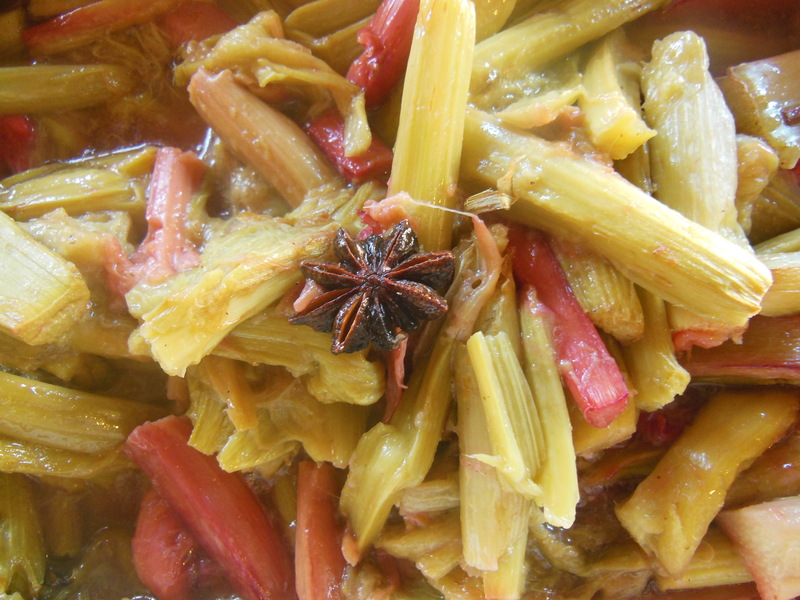 I often stew rhubarb but haven’t tried it with spices yet. I like the sound of these spices with both ice cream and in crumble. Thank you! The spices are delish! If you want an extra treat you can add a little Contreu or Drambuie!